On 12.12.2012, the star gate of Lyra ‘opened’ in preparation for Earth’s ascension. The 12th dimensional consciousness from Lyra was fully reflected upon Earth by 21.12.2012, Earth Ascension Day. For 21 days after 21.12.2012, that is just before the new moon of 11.1.2013, we can easily connect with the Lyra world through its portal. These information was channeled during the Rebirthing the Lemurian Race On the Land of Mu workshop in Christchurch, September 2012. (For more information on the 12th and 21st December 2012 and their relationship, read Post of 4 Dec 2012; and Post of 10 Dec 2012). Today is the first full moon post-Earth Ascension Day. As some of us may have experienced by now, full moon energies are particularly potent for enhancing our intuition and sensitivity towards more refined vibrations from the higher planes of light, such as the Lyra world. 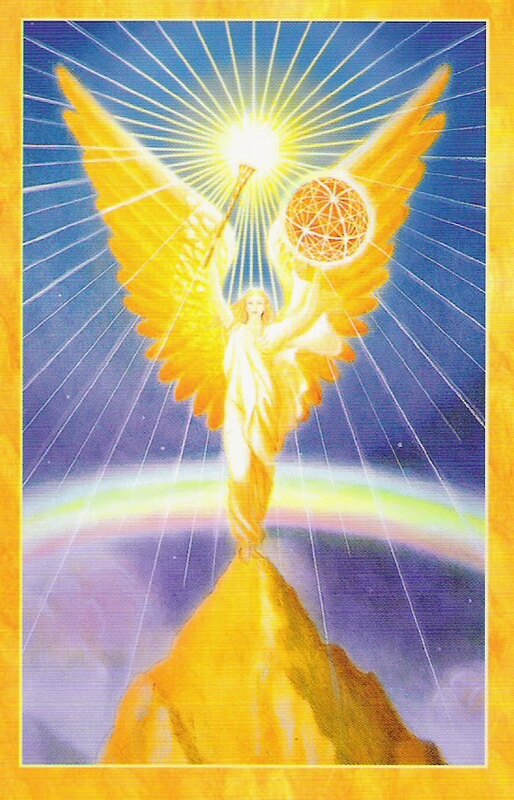 If you wish, connect with the Lyra High Council under the radiant full moon (serving as an inter-dimensional transmitter) and ask for the sub-conscious memories of your psychic, healing and other star abilities be activated and brought forth to your conscious awareness. Suggested meditation tool: recorded guided meditation ‘Journeying Home to Lyra’. During full moon and other key moon phases, besides tuning-in to the heavens, it is just as important for us to connect with Mother Earth in order to maintain the equilibrium of our electromagnetic field (electro = heavens/ star energies; magnetic = Earth energy). 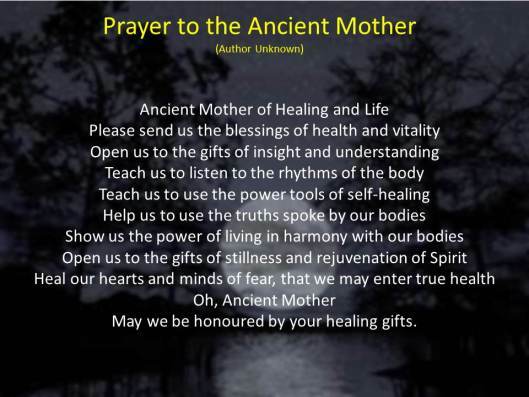 Below is a suggested prayer to honour Earth and for receiving her healing blessing. May you have a blessed moon connection ! I’m in the midst of my own process around 21/12/12. I’m also taking a break and putting my feet up. The spiritual experience I had recently has departed, as they all do. A former est graduate wrote in to me and said: “Getting it, losing it, getting it, losing it. That’s life.” And of course he’s right. Only in sahaja do we get it and not lose it. So I’m back in normal consciousness. Life as I anticipated it is not unfolding in the manner I expected. I anticipated us being on the Fifth Dimension now, finding our ground, rejoicing, participating in a grand celebration and reunion. But we aren’t in the midst of a grand celebration and so I’m adjusting to what actually is, rather than how I’d like things to be. No one said the Divine had to do things the way I wanted them done. The vasana that’s going off for me relates to the year 2000, when evidence emerged that Sai Baba was a … well, was not what he appeared to be. Let me put it that way. I was involved up to my topnotch in the Sai organization. My life fell apart when I really looked into the evidence and could not dispute it. So that’s the “earlier similar,” as we’d have called it years ago, that’s playing for me right now. I’m sourcing that vasana. I’m going to need to move through it before I can comfortably write again. Otherwise I’m plastering a happy face over an upset and you won’t buy that and I won’t buy it. We have a nose for a lack of integrity, a BS meter we would have called it. So I’ve decided to take the time off between now and perhaps Jan. 1, 2013 or until the vasana is complete, whichever comes first. I also need a break anyways. And then again, I’ve written on the complete scenario and am not really clear what remains to be said. Barring some really startling events, I may need to find a new subject or one that hasn’t been well covered already. The ingredients are mixed. The cake is in the oven. There isn’t more to be done with the cake that I’m aware of. In terms of the looking I’m doing, I’m not prepared to accept anything or reject anything simply because this or that source says it’s true or untrue. I need to find evidence if I’m to accept or reject any contention, no matter who says what. And I’m in that process of finding and evaluating the evidence now. A word on comments before I leave. As you know, we haven’t been opening comments often because, if one does so, one also has to assume the responsibility of watching over them. Some of your comments end up in the spam filter. You think you’ve been moderated, but you haven’t – at least not by human hand. Akismet automatically moderates comments so it isn’t a process we’re involved in. You used a swear word or a word associated with a threat or something like that and Akismet has pounced on it and quarantined you. And unless someone watches over comments every day, no one notices the comments that end up there. Also, the comments that end up in the pending file (not sure why they do) don’t get posted unless someone sees them. Then you’re annoyed and there’s more email. Accepting comments is not an automatic process. It generates work and not many editors are around at this time of year to do it. So the need to pay more or less constant attention to comments is the reason why we don’t often open them. It just isn’t a service that we have the people power for. I hope everyone had an enjoyable Christmas. Many may be triggered. You are after all visiting the people with whom many of your strongest and most persistent early upsets occurred. Give yourself a break. Our families of origin are the toughest forum to be in. If you’re upset, use the opportunity to source the vasana that goes off. Just as I’m doing now. Rejoice! Only when a vasana goes off can it be sourced, remember? I’m not far away. I’m reading email if not necessarily answering as many of them as usual. I can scurry back if there’s anything pressing. But it would be nice to have a really substantial break.